Steve Day started his company ideaMachine Studio in the back of a New York church back in 2010. Within the first year, he considered cutting his losses and most of his team quit. Fast forward to present day, ideaMachine Studio now has a client list including Xbox, ESPN, and Dove. The company offer motion capture and graphics, mixed media, 2D and 3D animation and live draw, it specializes in the service that began it all – whiteboard animation. 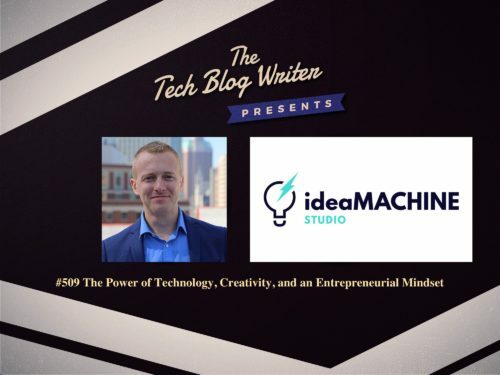 Thriving on culture, imagination, and technology, ideaMachine Studio has helped clients grow from zero customers to a million in just a few years. After overcoming a number of challenges over the years, ideaMachine Studio is now a leader in the animation industry and pursued by many businesses for creative, technology-based marketing. Steve has directed for Verizon, the United Nations, Sesame Street, the ESPN ESPY awards, Bud Light Superbowl ads, and the Elmo Xbox game. While Steve’s drawings and animations brought the company into existence, he actually began his career directing for the theater, where his productions won an NYIT award and nomination, a Drama League fellowship, and a membership with the Lincoln Center directing lab. He also directed and developed Son of a Gun a National Music Theatre Conference Winner. ideaMachine has won 21 Telly Awards in 4 years and it has animated for numerous Fortune 500 companies. Besides dreaming up stories and metaphors, Steve also loves working with artists like Uzo Aduba (Emmy Award winner), Joanna Gleason (3x Tony nom. ), Elizabeth Davis (Tony nom. ), Tom Green, and Keir Dullea (Golden Globe winner, 2001: Space Od.). But what Steve loves most about ideaMACHINE is “using art to help companies serve others.” Steve reveals his inspirational journey which is a much listen for anyone on their own tech startup or entrepreneurial journey.